Update: Funds raised as of April 25th, 2016: $625! I am very honoured to be this year’s Threads of Life Family Spokesperson at their Steps for Life fundraising walk in Burnaby, BC on May 1st, 2016. Here is the Threads of Life media advisory Vancouver 2016. Threads of Life (the Association for Workplace Tragedy Family Support) is a registered Canadian charity whose mission is to help families heal through a community of support and to promote the elimination of life-altering workplace injuries, illnesses and deaths. Threads of Life is currently supporting the healing journey of more than 2300 family members across Canada – who have suffered from a workplace fatality, traumatic life-altering injury, or occupational disease. Unfortunately, I know all too well how incredibly important it is that Threads of Life exists. My husband, Cst John Petropoulos of the Calgary Police Service, passed away in the line of duty on Sept 29th, 2000. 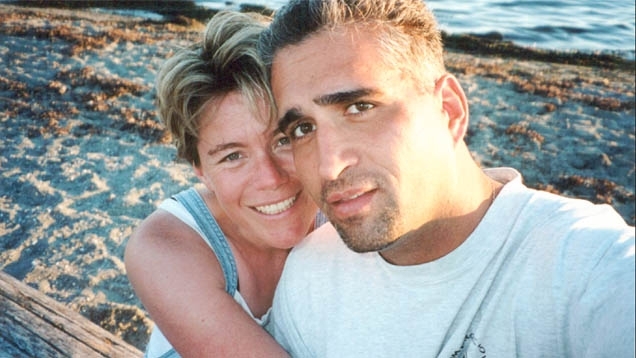 John was investigating a break and enter complaint at a warehouse when he stepped through an unmarked false ceiling, fell nine feet into the lunchroom below and died of head injuries. There was no safety railing to warn him – or anyone else – of the danger. He was 32. 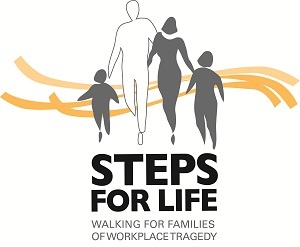 On May 1st, I will be walking in the Steps for Life – Walking for Families of Workplace Tragedy fundraising event in Burnaby, BC to help families of workplace tragedy and raise awareness about the national issue of workplace injuries, illnesses and deaths. If you are able to sponsor me, that would be very much appreciated! Here is the link to my page to donate to Steps for Life. On behalf of the thousands of families in Canada dealing with the aftermath of workplace tragedies, thank you. P.S. Full Disclosure: I could win a WestJet flight for two for anywhere that West Jet flies! But I have to raise at least $100 (in paid on-line donations) and for every additional $100 raised, I get another entry in the draw. So if you donate and I win…maybe I’ll take you with me!